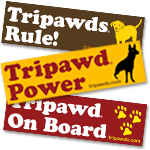 Save on three legged dog t-shirts and gifts with Cafe Press Coupon Code during Tripawds Gift Shop Sale! Use Cafe Press coupon code to save on the best three legged dog t-shirts and gifts during Tripawds Gift Shop sale! 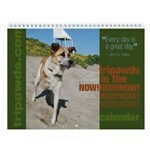 Tripawds Gift Shop Sale Ends April 5th! 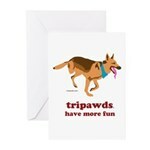 Use Cafe Press Coupon code to save on three legged dog t-shirts and gifts in the Tripawds Gift shop through April 5, 2012. Sale ends soon!